Have you ever thought about this? If not, then you are probably working out, like I was. A “working out” mindset is a calorie burning, “just get it done”, exercise to feel good, or to lose weight mentality. You may show up to the gym every single day and do what’s asked of you to check the box, but it may sometimes feel like a chore. You may improve some, but not much. Losing weight may be your only measurement of “success”. When you switch your perspective to “I’m in training” everything gets so exciting. That hour in the gym is used much more effectively. In training I purposefully practice various mental strategies in my workout that reduce stress and improve performance. I’m working my body and my mind at the same time. I use these same mental strategies in life outside the gym to guide me through stress or challenges. In training my goal is to be better than I was yesterday. Change perspective. The first step is to literally just say “I’m in training.” Change the way you think about exercise. Measure yourself in any way you can so you know if you’re improving. I keep a record of how much weight I lift, how many burpees I can do in a minute, how many pull-ups I can do…whatever I can measure I do. Weight loss/gain, or how tired or sore you are is not a good measurement of success. Challenge yourself and your numbers. I lifted 100lbs last week but I’m not going to be satisfied with that. Today I tried 105. When I hit 105, like I did this morning, it is a really proud moment. In training mode you will improve and it is really exciting to know that you’re better than you used to be. Be present in each movement that you do. I’m constantly asking myself how I can do something better. How can I find more power in my punch? In class I don’t just go through the combinations. I experiment. I try sinking into my stance more, I consciously engage my hips, core and glutes into my punches. I play with my breathing and posture. I’m always looking for a way to move more efficiently. Surround yourself with a coach or personal trainer who knows your goals. They will teach you and push you. Today after I hang squat cleaned 105, I smiled in celebration, then immediately tried 115. I had several failed attempts and asked a coach for help. He video-recorded my lift in slow motion to show me my form and broke down what I need to do to become successful. Now he and I will work on it until I have it. Personal Training is a powerful training tool. A trainer holds your goals as a measure of their own success. They see what you can’t see, make you do what you would not do on your own, and they believe in you when you aren’t feeling confident. Get uncomfortable. Work on your weaknesses. Only highlighting your strengths is exercising. Working on your weaknesses is training. Training is uncomfortable. Embrace it. It’s how you improve. Don’t forget – weaknesses include nutrition and sleep habits. When you’re in training your mindset includes fueling and resting your body for optimal performance. Compete. 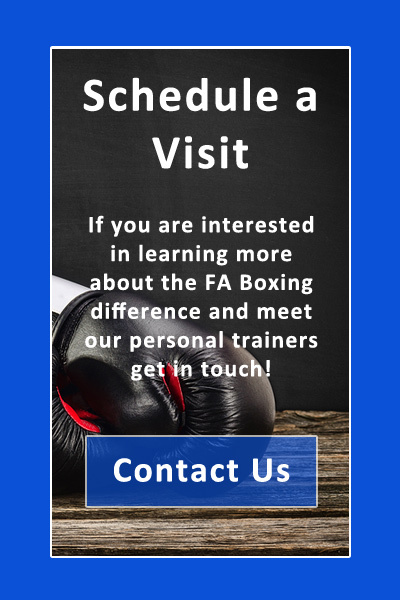 Sign up for a race, a fight, sparring, a challenge with a friend, a competition of any kind. Having an upcoming competition helps to focus your training with a short term goal. I also like competing because it is scary. I want to practice performing under pressure. This is part of my mental training. I want to have the experience of being in stressful situations so that when life gets hard I am resilient. Competing is a safe way to practice this important skill. It also helps me measure myself against my peers. Although my focus is internal (competing with only myself), it motivates me and often inspires me to see my peers perform. Why? What am I training for? 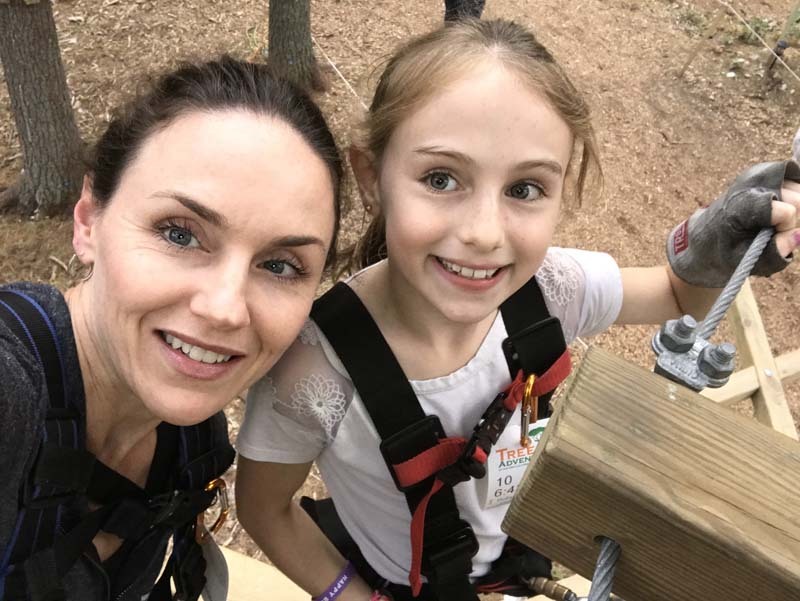 Recently I was doing a ropes course with my daughter for her 10th birthday and as I was one of the only adults participating it occurred to me…this is what I train for…to have the strength, confidence, agility and courage to have fun with my daughter today. We never know what type of fun or dangerous situation we will find ourselves in, and having the mental and physical strength to meet the unknown is important. 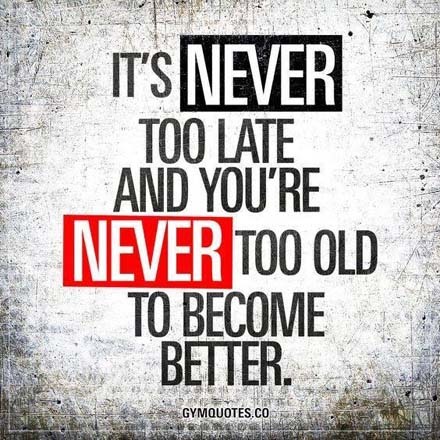 Growing older yet stronger is the reason I train.